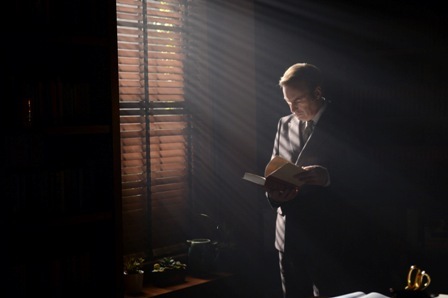 Jimmy McGill (I really thought he would be going by Saul by now – Bob Odenkirk) finds something to fight for, other than his own interests, on this week’s Better Call Saul. This was one of my favorite episodes of the season because it deepened the character and gave him a real objective. We’ve seen Jimmy have his nice moments before – he saved those kids from Tuco (Raymond Cruz), he stopped his brother from being committed, and he gave back the money the Kettleman’s stole, but there was always an ulterior motive. Sure he has a lot to gain by winning a big case like exposing a big retirement home of fraud, but it was the discovery of the deception that made him take action. I think this is exactly what the show needed to make it more emotionally engaging. It has been very entertaining, but it lacked heart. Last week I speculated that it might start to lose momentum if there wasn’t something to root for – and the show’s slipping ratings indicate that’s already happening. I’m sticking with it for now. 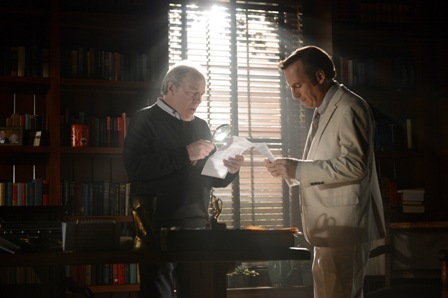 Not only did this episode give us something to root for but it was filled with a lot of fun moments like Jimmy hiding in the bathroom and writing his legal document on toilet paper or Chuck’s (Michael McKean) shocking announcement that they wanted 20 million from the retirement home in a settlement. Chuck is the most curious character because we don’t know his fate. Obviously we never saw him on Breaking Bad, but we don’t know why? Is he dead, did he move away, or did he simply cut off contact with his brother? Better Call Saul is off to a good start as it slowly unravels the rise and fall of Saul Goodman, but I’m worried not enough people will stick around for the ride. Hopefully they will. I think this show has a lot of potential. I’m looking forward to seeing how Jimmy becomes Saul and completely gives up on being an upstanding lawyer. Hopefully we will get the chance.